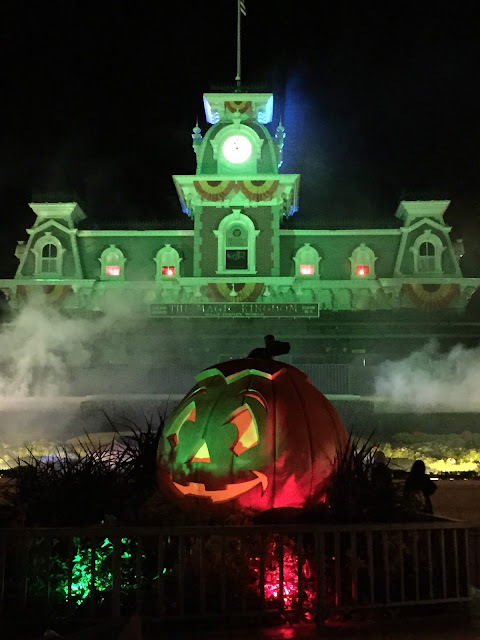 Halloween time is so much fun at Walt Disney World. It is highlighted by Mickey's Not So Scary Halloween Party at the Magic Kingdom. Tonight, my family had the chance to attend the event as guests of some very generous friends. We had a great time enjoying the trick-or-treating, shows, parade, and spectacular fireworks. I took this shot as I was leaving the park.